Mr Hebburn. Alphonse To You. Hebburn Town are in the fourth qualifying round of the FA Cup. Uncharted territory. With it comes interest, some of it will be national. It’s piqued ours and we’ll be running a few pieces throughout the week in the build up to the game. But where did they come from and who can we thank for that? Hebburn is on the south side of the river Tyne. It neighbours Jarrow and is just a few miles from FA Cup opponents Gateshead. Like many places in the area it was looted by the Vikings and, later, became one of the many mining towns of England’s North. In the early nineteenth century Sir Humphrey Davey tested his famous lamp in Hebburn’s pits and as the century drew to a close a French engineer called Alphonse Reyrolle moved his small works to Hebburn to be closer to the industry for which his company made electrical switches and resistance motors as the industry was mechanised. By 1906 Reyrolle employed over 500 locals and the company was fast becoming an integral part of Hebburn’s fabric. As was the wont (or requirement) of industrialists around the turn of the century, the philanthropist in Alphonse started to emerge. The Reyrolle’s Employees Benevolent Association was born and as part of their remit provided ‘barefoot football’ for the children in the local area. The football team itself wasn’t far behind and was created in 1912, joining the Jarrow & District Junior League. Football had existed in the town since the 1880s with Hebburn Argyle but World War One took its toll and when the armistice was signed Argyle had ceased to exist. Reyrolles, though, was going the other way. By the end of the war employee numbers were up to 800 and the team had progressed to the South Shields Combination. 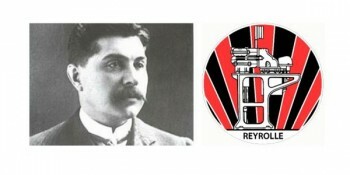 However, Reyrolle himself was not a well man and, in 1919, just as his company was making international inroads and his football team expanding, Reyrolle died. As well as making the switchgear, Reyrolles employees also site-visited to install it. 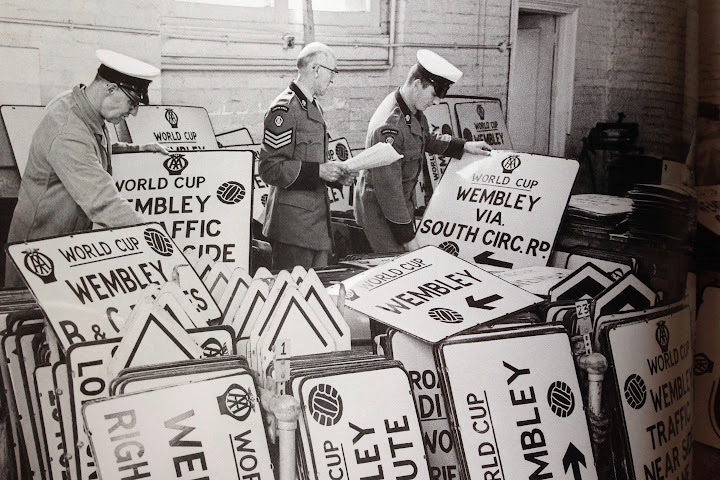 A team of engineers were fitting equipment to the Wembley Park Exhibition Hall when a kindly act by some Newcastle fans, and the acquiessence of Reyrolles London area manager, allowed two Reyrolles employees to acquire two tickets and head off to the Newcastle v Aston Villa FA cup final. The Reyrolles company moved forward in the 1920s with Charles Merz at the fore. In 1926 his recommendations were implemented into the Electricity Act which led to the formation of the National Grid while his works team were getting bigger and better and joined the Tyneside League. By the 1930s Reyrolles was so large that it employed 5000 people in Hebburn alone and was linked to a merger with General Electric. The football team won the Tyneside League in 1938/9 and the cricket team was so successful it was touring across the UK. Throughout the war and post-war period Reyrolles expanded, diversified and by 1950 employed more than 12,000 people. One of those was Ray Wood. He played for Hebburn Juniors, Newcastle and Darlington before a big-money move to Manchester United installed him as a Busby Babe. With mergers and acquisitions the company snowballed throughout the 1960s while the football team stagnated in the Wearside League. In 1977, with a merger, the Reyrolles company name all but disappeared but it would be ten years before the football team even acknowledged the name of the town over the name of its creator. Hebburn Reyrolles was born in 1986 and the family’s link to the team was on the wane and just two years later was lost for good when it was removed from the team name. As if to suggest the link had been holding them back, the team immediately resigned from the Wearside League and moved into the second division of the Northern League. Three years later they were promoted to Division One but that lasted for just another three before issues with their ground meant they were, some say harshly, demoted back. One more promotion and relegation followed and Northern League Division Two is where they remain. For the next week or so, Honorary Club President Brendan Foster will be the focus of attention, his link to Gateshead as an athlete will be thrust into your consciousness once more. Hebburn Town will be the name you read and Alphonse Reyrolles will be forgotten. But they would not be here but for Alphonse, his impact on the local area cannot be underestimated. Siemens-Reyrolle switchgear ensures the name is not completely forgotten, the company still employs many in Hebburn and the site on which it all started still remains. Good luck Alphonse, godspeed Reyrolles and all the best to Hebburn Town. Much of this information is gleaned from The Reyrolle Story by Robert Owen, currently out of print, The Hebburn Website and Hebburn Town FC. Pictures from wikipedia. Cheers Michael, was going to go into Argyle too but didn’t have time, unfortunately.